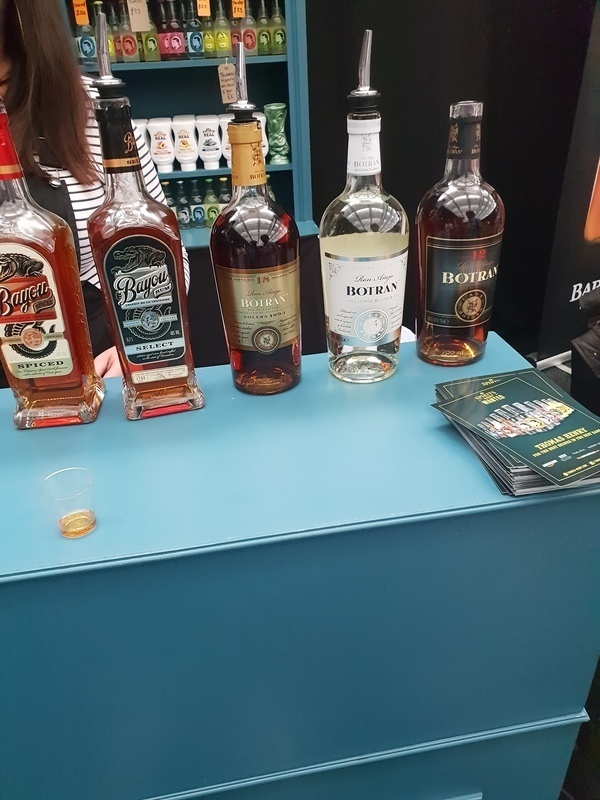 Have you found an online vendor selling Ron Botran Anejo 12? Nothing really special about this fellow. Had it not been for the good company and great mood when tasting it, would probably have forgotten all about it already. To try just once, just for the shake of it, ask the bartender to perform some extra orange peel treatment on the glass before serving so that you might get close to a "decent" outcome. Pourer said age statement is solera (sigh), so there's only trace amounts of 12 year-old juice in here. But hey, it's fine; tastes how you'd expect. It also appears to be priced appropriately, and is not as dosed as many others from Central America. Skip it for sipping, but highly recommended as a mixer. For the price this is a good choice for adding to your favorite cocktail. Bit of a burn and harshness going down to deter from drinking neat. Good classic smell. Nice taste but a bit spicy at the finish. Unlike Botran Reserva its way too alcoholic with plain body. Better go for older ones which are awesome. Wasn't impressed with this bottle.Tasting it neat was not great, but it improved with a bit of water. It's quite sharp, but you are not rewarded with a nice after taste. It makes for a nice sharp Cuba Libre though, so I'll use it for mixing. I paid €19 for this bottle and at that price I guess you can't expect a real sipper, so you get what you pay for. It truly is a surprise how close the 15 and the 12 year Botran are flavor profilewise. Neither is really a neat sipper since the alcohol smell and taste is rather strong and the burn at the end is not a nice surprise. Mix it with Coke and you will have a glimmer of hope. The 12 year Anejo is just marginally worse than the much more expensive Reserva 15 year old Botran. ES UN RON AÑEJO COMERCIAL, BUENA OPCIÓN PARA COCTELERÍA. Heavy and chocolate taste. Try it with a chocolate together. Firstly: it's cheap. Also people should note, the Botran 12 is, like most Botrans and most Zacapas, a solera-style rum, so it's not actually 12 years old. When I was in Guatemala I drank this far more than the often praised but wildy overrated Zacapa 23 (which to me is an overly sweet cloying licqueur, not a proper rum). This is a lot dryer, more honest. You do get some alcohol, and a somewhat unrefined sensation, but at half the price of the Zacapa 23 this was always the better option for me. Had higher expectations from a 12y old. Don't like it with coke too much, like it better on the rocks. Strong alcohol flavour, lacking character. Don't like the aftertaste a lot, but not too bad considering the price. A good one for a reasonnable price. Tasty and perfumed, this is the kind of rum you'll enjoy after dinner along with a piece of dark chocolate.. Not revolutionnary but a good choice that every amateur should possess. Un ron de sabor suave y dulce, en México la botella es más bonita q la original con tapón de corcho. Según dicen es un Zacapa económico. Ya que también son de la misma región.